Outrageous trial transcript fees are bad for defendants, journalists, and democracy. Court reporters charge outrageous fees to reproduce trial transcripts. That’s bad for defendants, journalists, and democracy. 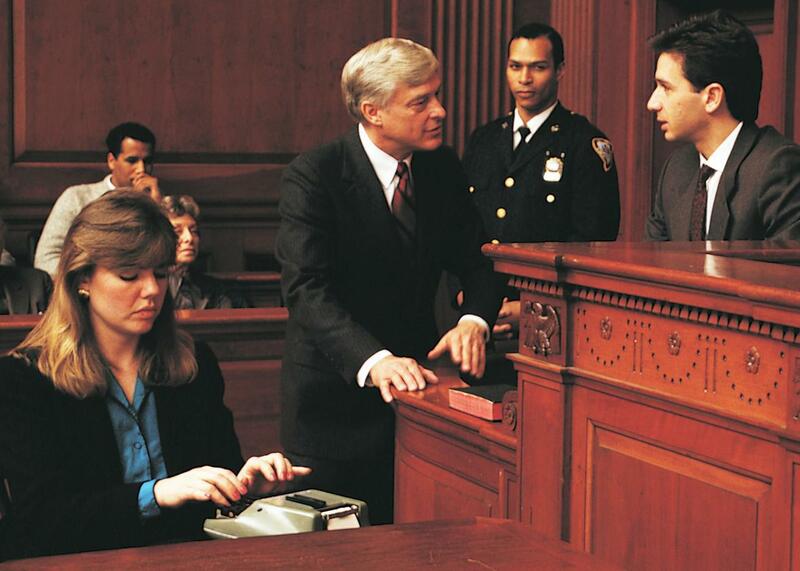 The technology has changed, but court reporters still provide a critical service. A prosperous farmer was convicted of murdering two people, then granted a second trial on newly discovered evidence, and ultimately acquitted. I traveled to the Greenbrier County Circuit Clerk’s office in rural West Virginia to report on the case. I wanted to know: If he wasn’t actually guilty of the crimes, what was said in that wood-paneled courtroom the first time that made 12 people think he was? The transcripts were there, 12 neatly bound volumes. I approached the counter in the clerk’s office, where a woman in a floral maxi dress was dutifully stamping forms with the seal of the state of West Virginia. I needed a copy, I said. “Sure,” she replied warmly before noting that all transcript copies must come directly from the court reporter at a price of $1 per page. The transcript I wanted was 2,400 pages. The court reporter, Twyla, picked up on the first ring. I pleaded poor journalist and poor grad student, but she, a veteran of the field, was unmoved. Twyla informed me that the rate was governed by law, and besides, she was entitled to that money—in fact, she needed it to be fairly compensated for her work. Could that be? It could. The West Virginia State Code of Civil Procedure dictates that a court reporter must provide on request a trial transcript for $2.85 per page, with any subsequent copies of that same transcript to be supplied for $1 per page. The cost is even higher in other states. In Georgia, for instance, the rate is $6 per page. The rates are set that way to compensate court reporters for expenses they must pay themselves. Twyla explained to me that, while the state of West Virginia provides an office in the courthouse and a telephone for court reporters, it does not pay for most of the tools and equipment she needs to do her job. Laptops, note-taking machines and software, paper, and pencils are necessary items for professional transcription. All of it—which could cost as much as $13,000 a year—comes out of court reporters’ pockets, she said. It’s a huge expense for professionals earning an average $50,000 per year but can be worth it if a court reporter sells one or two copies of her transcripts. Twyla says she’s heard of some women (89 percent of court reporters in the United States are female) making up to $90,000 a year between their salaries and the sale of transcripts they’ve created—more than decent pay in a rural area like Greenbrier County, where the median household income is just shy of $40,000. Using fees to subsidize court reporter pay works in theory, but in practice it makes trial transcripts too expensive for an average citizen or journalist to afford. It also can put a barrier between trial transcripts and individuals who should be entitled to them. I learned later that the defendant in the case I was researching paid more than $7,000 to obtain a copy of the transcript from his own trial so his lawyers could analyze it for grounds for appeal. It is not unthinkable that a trial transcript might be considered a literary composition, one of the eight types of work protected by copyright law. Trained in the art of writing in shorthand, each court reporter composes transcripts using her own unique stenographic language. Further, a court reporter then “prepares” a transcript by transforming steno notes taken in real time into a polished, official record by adding punctuation and paragraph breaks, as well as editing for readability and flow. It’s essential that states find a solution that both saves court reporters’ jobs and lowers the barriers between the public and important official documents. We need a new system of court reporter compensation—court reporters’ salaries should be raised to cover the cost of preparing the record—or courts should invest in the training, equipment, and materials that court reporters need to do their jobs. Without those changes, granting open access to trial transcripts will continue to be at odds with a court reporter’s ability to earn a decent living. For Twyla, the current law demands that she jealously guard each page of her work to ensure she makes a decent living. For those tried and convicted of crimes, this means ponying up thousands of dollars for a record of their experience in the courts. For journalists like me, it means not learning why a jury of a man’s peers found him guilty of murder—unless we can spare $2,400, which I still can’t.